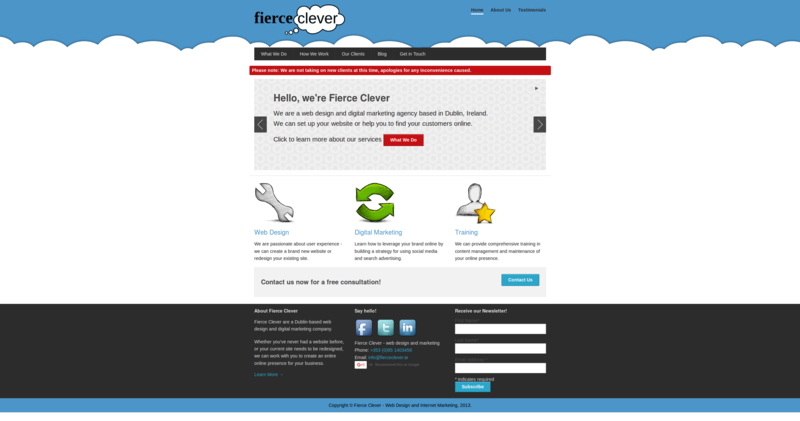 Fierce Clever is a web and user experience design agency, based in Dublin. 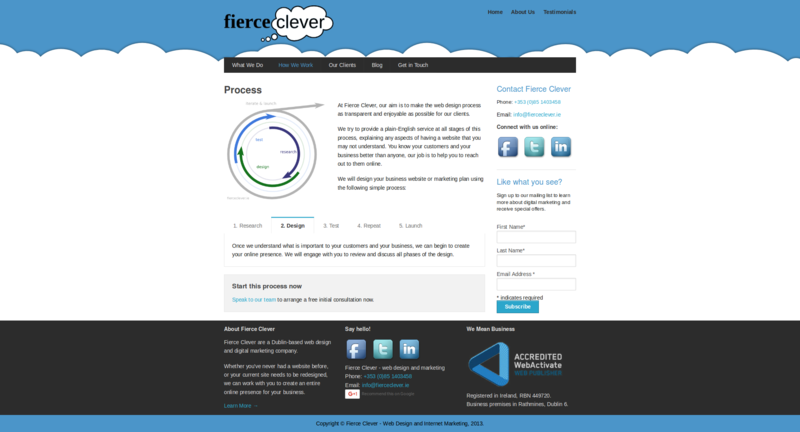 I set up Fierce Clever in 2011 and since then, have delivered dozens of website projects for varied clients. 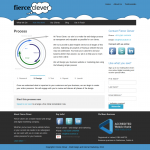 View more from Fierce Clever here. Claire is imaginative, engaging and easy to convey ideas to. She has a particular attention to detail that is rare and will follow a project through to completion, managing changes en route to deliver the project on time and within budget. Claire Regan worked with us in developing our website, and we always found Claire to be a pleasure to work with. She is an incredibly astute and perceptive individual, and gave us great guidance and advice in the whole Web and Social Media area. 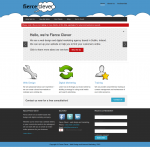 I would have no hesitation in recommending Claire to any business looking for help, advice or mentoring in this field. 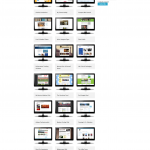 Claire designed multiple websites for our company and products, all of which are now public, bring used daily and receiving fantastic feedback.. She was great to work with and helped bring our ideas to life. The finished products were extremely clear and visually driven. 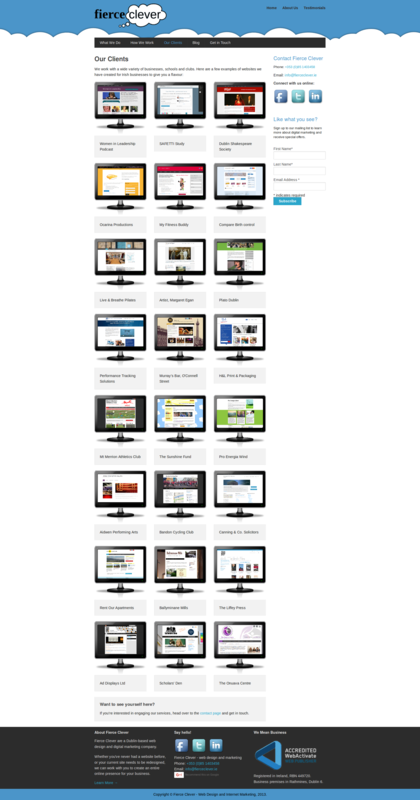 Claire produced a slick professional looking website at extremely short notice. I wouldn’t hesitate to recommend her to friends and colleagues. I enlisted the expertise of Claire Regan to better develop the functionality of my site, improve on the design and create an enhanced user experience. Claire worked to the brief I set diligently and demonstrated a commencement to aesthetic excellence which I very much appreciated. She was very clear and professional in her communication with me and delivered the final design within a very short time frame which was very impressive. I would certainly recommend Claire as a competent, innovative designer with a fresh outlook and a sensitivity to the user experience.